Omar Jamal is dealing with a crisis. 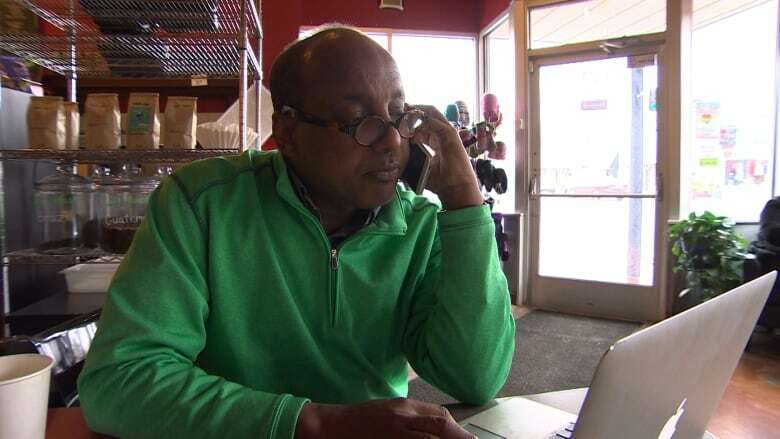 Jamal is the executive director of the Somali Community of Minnesota, and for months now, he has seen people whose U.S. asylum claims have been rejected end up in Minneapolis, home to one of the largest Somali communities in the country. From there, they make arrangements to sneak into Canada, where they can file refugee claims. Jamal has become used to this, but today he is fielding non-stop calls about a car full of refuge seekers and their driver who appear to have gone missing after leaving Minneapolis. The plan was to drive the seven hours north to the Canadian border and cross the border on foot. But they're nowhere to be found. "I'm getting calls from family members and I'm meeting relatives and as we speak right now, we are trying to figure out what happened to them and where are they? Are they still alive?" says Jamal. Jamal's current situation speaks to the heightened desire for people to sneak into Canada, but also the potential perils. As a community leader, Jamal says he's been "overwhelmed" with calls and meetings about fellow Somalis aiming to cross over the Canadian border illegally. But he consistently cautions them that "there's a risk involved." Somalis in Minneapolis like to congregate in places such as Karmel Square and Suuqq, a Somali mall where they can eat goat meat and drink sweet tea — and where many have been gathering to negotiate a ride to the Canadian border. Mohamud Noor, executive director of the Confederation of Somali Communities in Minnesota, says Somalis have the highest rate of asylum rejections and deportation orders in the U.S.
As a result, he says they're undaunted by the prospect of a potentially perilous journey to Canada. They've already come so far from Africa, "so going through the last leg of their challenge isn't seen as too bad. They're willing to take the risk." Some would-be refugee claimants organize a taxi ride all the way from Minneapolis to Manitoba, while others take a bus from Minneapolis to Grand Forks, N.D. and from there hire a cab to drive them the last 130 or so kilometres to the border. There is clearly demand for rides north. And there are also people with free time, a vehicle and a willingness to make the drive, especially if they can make some money doing it. Jamal is fully aware that refuge seekers are "using any means available to them to get from point A to point B to make it to the border and then walk on foot in this cold, blizzard winter. "It's a very sad story and it's happening throughout different locations, different [parts of the] border," he says, while nervously puffing on a cigar at a smoke lounge. As the day wears on, news starts to trickle in about what happened to the missing car — especially once the driver himself reappears in Minneapolis. We found him in a tiny Somali café, where he took us down to the basement to tell his tale. We're calling him Ahmed, concealing his identity because he's shaken by what happened. He has only agreed to tell his story as a warning to others. "I was helping as a friend," he assures us. "I didn't charge any money. I know one guy and he asked me to help them so I say, 'Yes, I will help you,'" he says. "They say, 'No, we know what we're doing. We do the research. We know the corner, here, there, there.' So finally they say just drop me there." Ahmed ended up leaving them at a gas station in Pembina, N.D., which is about eight kilometres from Manitoba. After doing so, Ahmed says he drove towards to the border, just to get a lay of the land. But soon, he found himself at the border crossing at Emerson, Man., talking to a Canadian Border Services Agency officer. The CBSA officer asked Ahmed why there was so much food and juice in his car, and then inquired whether he had just dropped off some people who were planning to walk across. Ahmed wasn't sure what to say. The CBSA ended up detaining him. He says the Canadian border officers were "really, really nice" and made it clear that because he's a U.S. citizen, they didn't want anything from him. But the reason he got in trouble is because the officers were worried about the survival of the refuge seekers. "And I say, 'That's what they wanted, because they want to come to Canada. They see there's no life in America no more because of Trump.'" Ahmed says he was kept in a holding room for 12 to 15 hours. "I feel guilty and I'm freaking out. I'm not even worried about myself. In my mind, I'm worried about these people. If I hire a lawyer, if I go to court, I may have a chance, but if somebody dies by deep-freezing, they don't have a chance," Ahmed says. "I decided to tell the truth that hey, I dropped people [off]. I don't know if [the CBSA went to] go get them." Ahmed has advice for anyone contemplating a run for the border. "Don't do it. Even if you want to do it, please do it in the summertime, not the winter, because summertime at least you can survive. If you get thirsty, you can deal with it," he says. "But freezing? We don't even have snow in Africa." Twenty-four hours later, there's relief in Jamal's voice. All of the missing refuge seekers have been accounted for. They're making their way back to Minneapolis. As a result of their attempted crossing, they've been flagged as a flight risk by U.S. immigration authorities. "They're really worried, they're scared," says Jamal. "The thing is, when they came [to the U.S.], they psychologically believed that they left everything behind, the bad things. But actually the place they've got here now doesn't look much different than the place they came from. "It's a continuation of crisis and suffering and not being settled… That saga is still ongoing," he says. "They left their country and they're still on the run." Before too long, Jamal has moved on to the next phone call, the next request for help. He knows this flood of asylum seekers won't stop any time soon, and he has a message for his neighbours to the north. 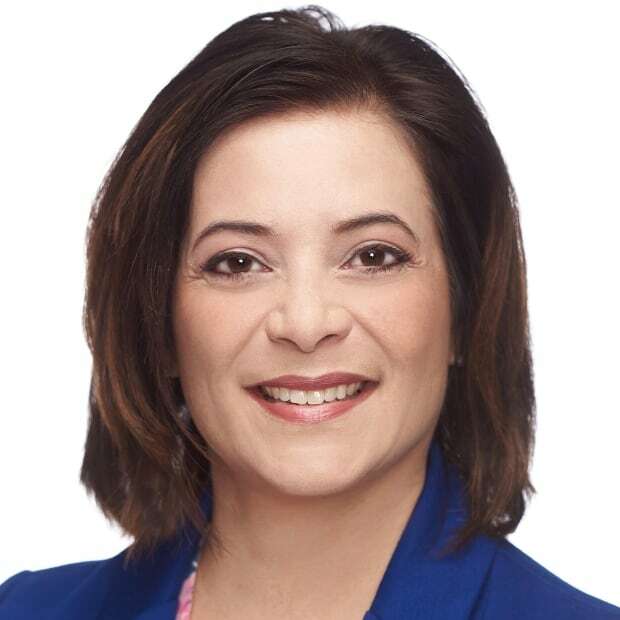 "Canadians are historically known as a society to be very hospitable and welcoming, and I think they should open up more now than ever. I really, in a sense of urgency, urge the Canadian government to take bold steps to address this issue," he says. "The time is now, the need is there."